Earlier, we wrote about major Democratic accomplishments in US government. Now, it’s time to explore the positive contributions that Republicans have made. We all know about President Abraham Lincoln, the Emancipation Proclamation, the 13th Amendment, and his leadership during the Civil war. But Republican contributions go far beyond just that. For example, Republican President Dwight D. Eisenhower established our current interstate highway system. The Federal Aid-Highway Act of 1956 is regarded as one of the greatest post-World War II achievements. Eisenhower was also responsible for establishing the National Aeronautics and Space Administration (NASA). Signed into law in 1958, this historic step allowed the U.S. to become a leader in the space age. The Republican Party was established in 1854. 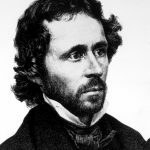 In 1856, the party elected its first presidential candidate, John C. Fremont. Although Fremont never ended up becoming president, fellow Republican Abraham Lincoln did in 1860. Other notable accomplishments of Eisenhower’s include sending troops to Little Rock, Arkansas, to impose racial desegregation in schools. Republican President Richard Nixon also had his fair share of political milestones. In 1972, he visited China and cultivated a harmonious relationship between the U.S. and the Asian nation. We also have Nixon to thank for establishing the Environmental Protection Agency (EPA) in 1970. Much like Eisenhower, Nixon also made an effort to enforce desegregation of schools in the South. Then there’s Ronald Reagan, who is responsible for ending the Cold War. Another noteworthy feat: the No Child Left Behind Act, which was signed into law by George W. Bush in 2002. Bush also promoted alternative fuels in an effort to reduce U.S. dependence on foreign oil. The point of this article isn’t to paint a picture-perfect representation of Republicans; rather, it’s to illustrate the progress that’s been made by both political parties. 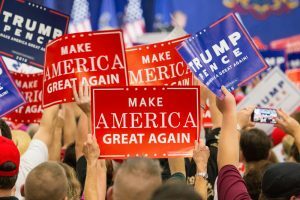 The current political atmosphere tends to have us demonizing the party we don’t like. But the fact is that great advances in our nation have taken place under the guidance of both Republican and Democratic presidents.